Microsoft is now seeding Windows 10 RTM build 14393 and Mobile build(10.0.14393.0) to Slow ring insiders. 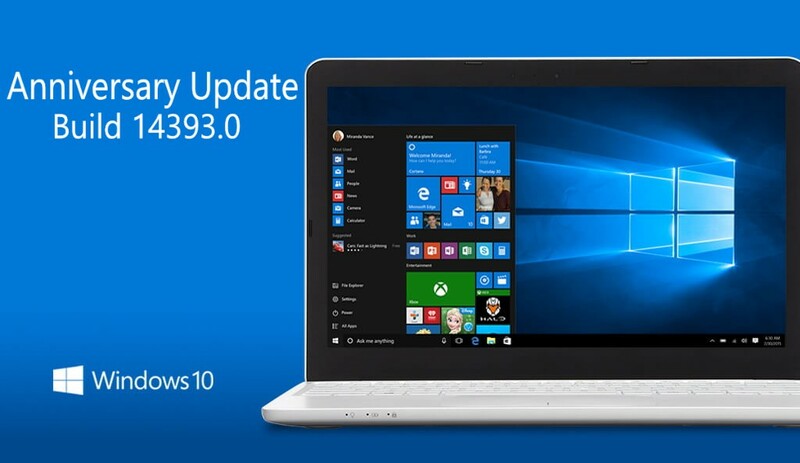 Microsoft released Windows 10 build 14393 for fast ring a few days ago. This is the final Redstone 1 build which will be released to public as Windows 10 Anniversary Update on August 2.
Insider team has fixed few things in the build before releasing it to slow ring. Surface Books and Surface Pro 4 bluescreen due to a camera driver issue has been fixed now. The new drivers for Surface devices released to fix this issue. Microsoft has also fixed an issue on the Windows 10 Mobile side, Wallet users getting asked to type in their PIN twice when using tap to pay from a locked phone. An update version of Wallet app released to fix this issue. Click below links to know more about what’s new in the latest build.